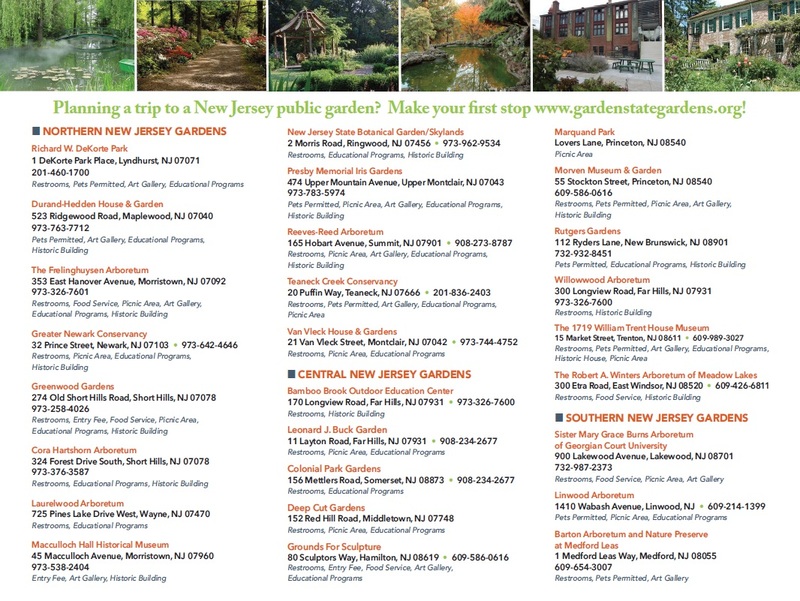 Garden State Gardens: A Consortium of New Jersey’s Public Gardens seeks to increase the public’s awareness of and appreciation for the beauty and horticultural, educational, artistic and historic value of New Jersey’s public gardens. This is to be accomplished through the collaboration of allied public garden professionals as they work to promote public garden visitation, development, stewardship and support. 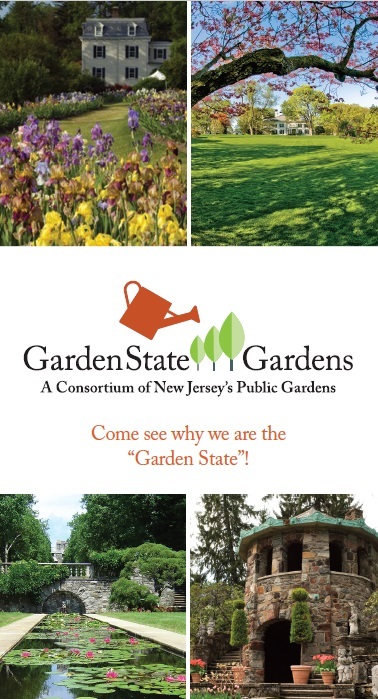 Read about the History of Garden State Gardens Consortium here.